The Man of the District is an annual fundraising event benefiting Children's National Medical Center. In four years, more than $70,000 has been raised with every dollar staying in the District. 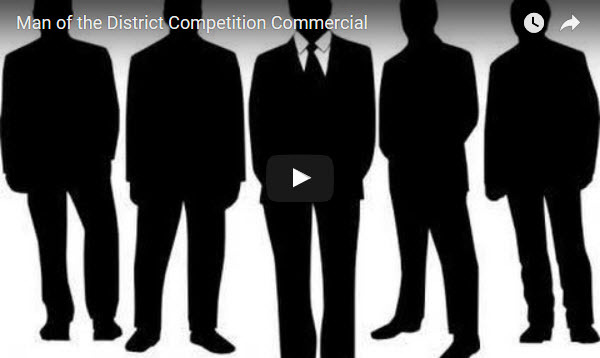 WHO WILL BE THE 2019 MAN OF THE DISTRICT? MATTHEW BROWNLEE WINS 2017 MAN OF THE DISTRICT!!! Washington, DC – On May 22 at Penn Social DC the field was crowded with exceptionally stylish and talented men. However only one could win. Congratulations to Matthew Brownlee, your 2017 Man of the District! Thank you to all the contestants, judges, performers, sponsors and volunteers that made this event a success. Also thanks to everyone who came out to cheer the guys on and raise money for the Children’s National Medical Center.